The Eyre Peninsula was nice but we didn’t stay long as it’s more of a grey nomad destination than an Allison and Christopher destination, i.e. 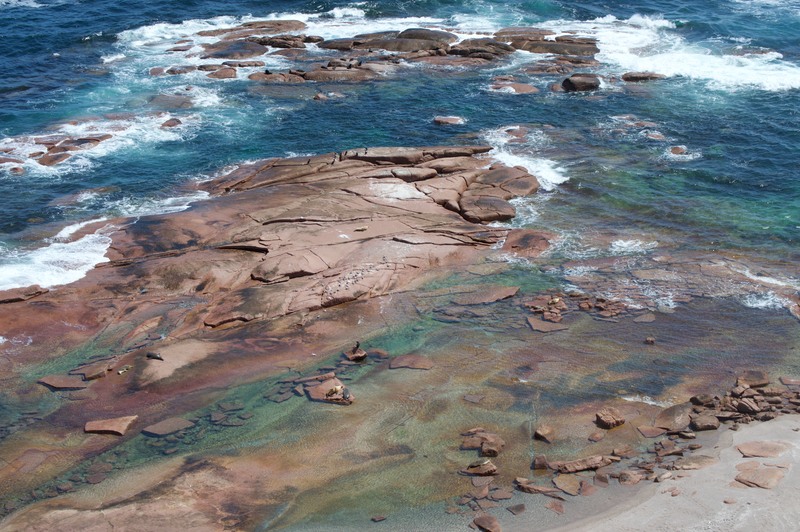 the main attractions seem to be fishing, heritage walks and visiting various seafood restaurants. 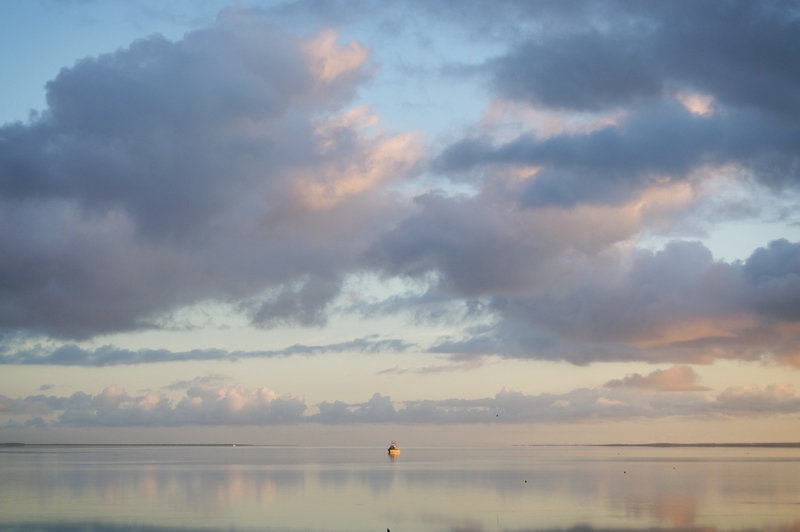 We spent the night in Streaky Bay, a peaceful little town where, judging by the number of boats in the caravan park, most people seem to visit for fishing. 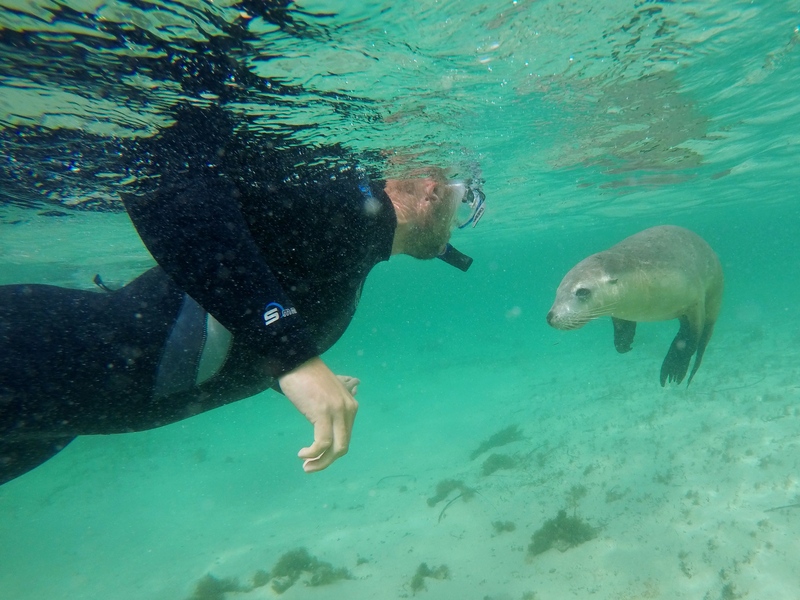 Really, the only reason we were on the peninsula at all was because it’s one of the only other places in Australia you can swim with the sea lions (besides Green Head which we had already visited). 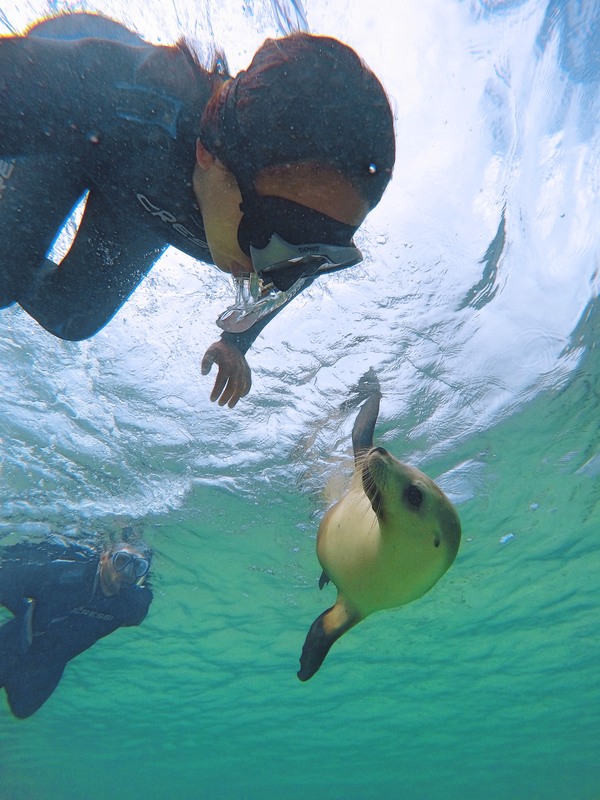 We had such a good time swimming with sea lions there that we had decided to go again. 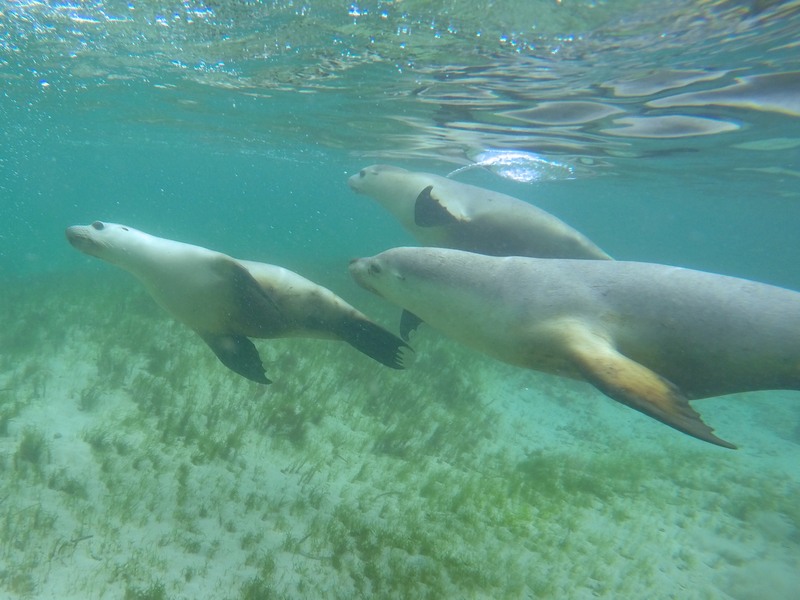 On the Eyre Peninsula you can visit the sea lions from either Baird Bay or Port Lincoln. Since we couldn’t really justify going twice more (because $$$) we decided on Baird Bay, because it’s a smaller operation and less of a journey to get to the sea lions. 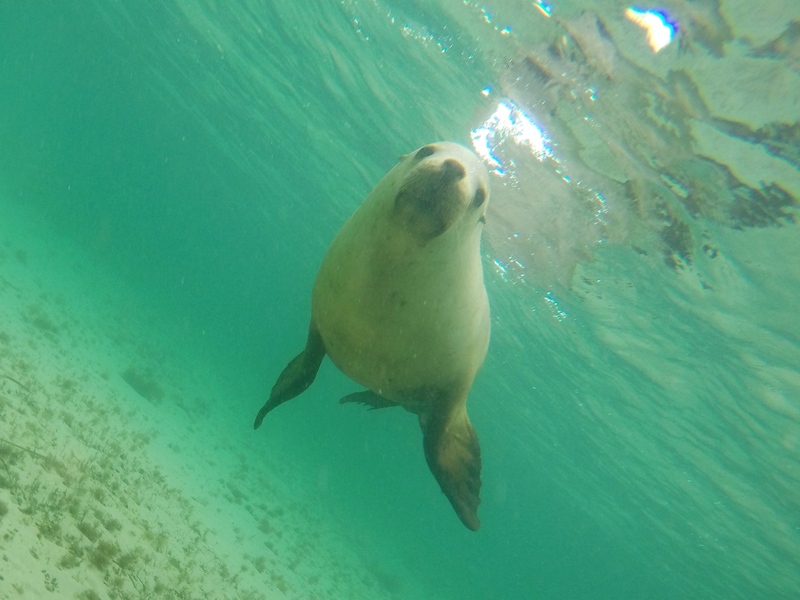 Baird Bay is a short drive south from Streaky Bay and there is not a lot there except for the very successful (judging by the quality of its facilities) eco tour company. There are about 11 houses in Baird Bay and the biggest one is the office and adjoining cafe that belongs to Baird Bay Ocean Eco Experience. It’s a family-run business started by a couple who stopped here to fish, made friends with some sea lions and never left. Nowadays they do almost daily tours to see both the sea lions and dolphins living in the sheltered bay. Anyways, we arrived early, parked our car on the beach and got fitted out with some nice thick wetsuits (much to Chris’s delight). We were eventually joined by 10 others, and after some brief instructions about wildlife interaction we piled onto the boat and were off. It was a quick ride to the island inhabited by the sea lions. There were a few swimming around when we arrived, so we jumped into the water for a swim. Having the wetsuits was nice, although the extra buoyancy made diving a bit awkward. 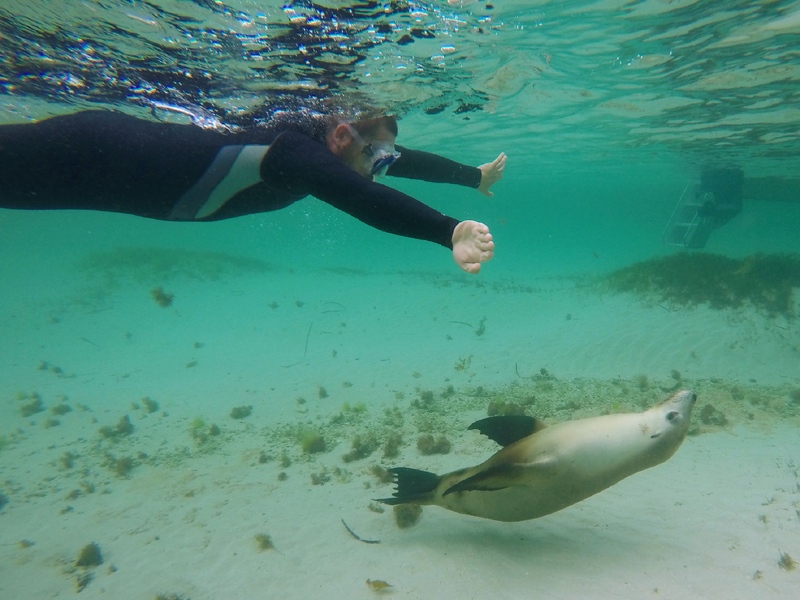 Anyways, we splashed around with the playful little sea lions for quite a while. Chris was especially thrilled when one came up and looked him right in the eye. 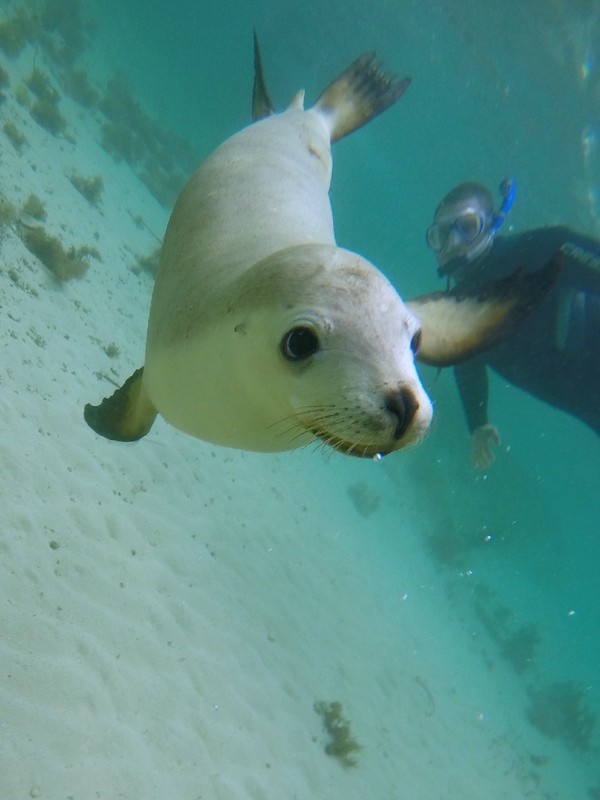 As the tour company has been operating for over 20 years, they know many of the sea lions by name. In return, some of the sea lions also knew our guide. One especially playful one named Curly kept latching onto his feet with his mouth so he could get pulled along. Super cute. Curly also found a crab while swimming about and tossed it around for a bit, which was probably much more fun for him than the crab. Once we were done with the sea lions we went to look for some dolphins. 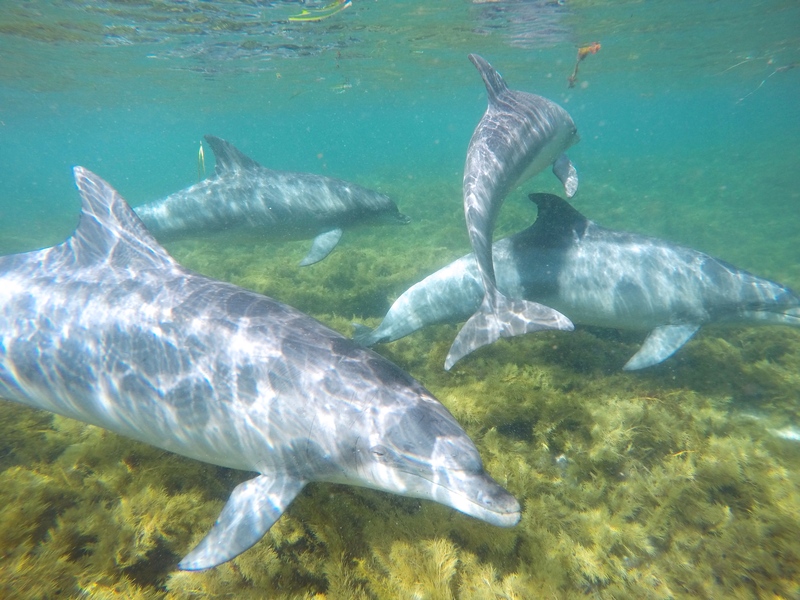 The dolphins were a bit trickier to swim with because they were “on the move” at this time of the year, Alan (our skipper) said. So it mostly consisted of driving the boat over in front of the dolphins, then jumping in the water and watching as they swam under and around us. Dolphins are big up close! There was also one super adorable little baby dolphin in the group, who was my favourite. After we were tired of chasing the dolphins we went back to watch the sea lions a bit. It was pupping season so the males were quite territorial, and we also got to see some little sea lion pups hanging out around the caves on shore with their mothers. At one point an enormous male arrived that Alan said was named Stitch, named so because he had sustained a pretty big injury from a shark attack but managed to bounce back. He is HUGE now and we watched him put several smaller males in their place. 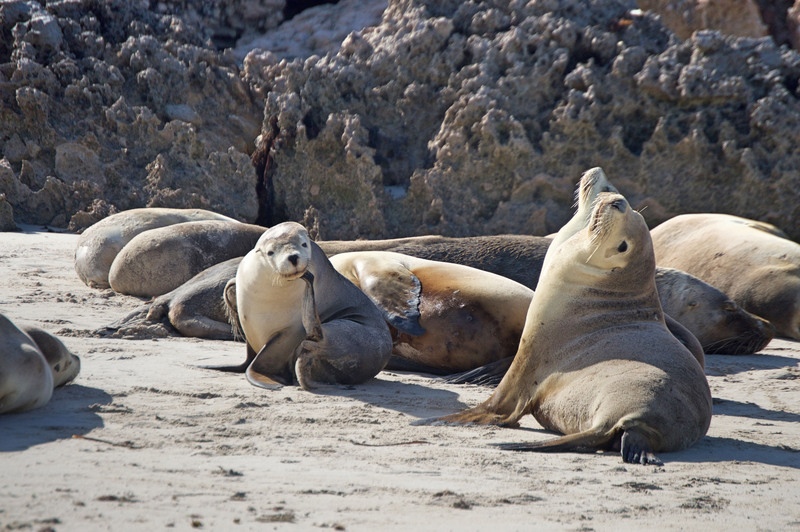 Sea lions on the shore. 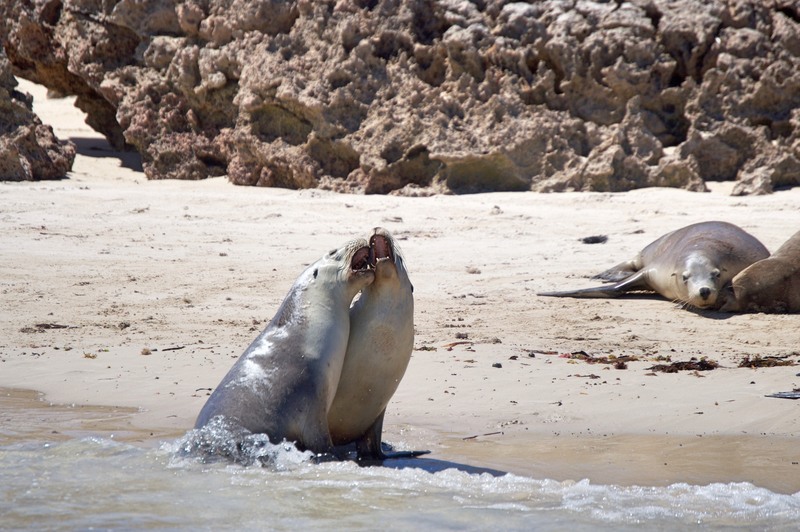 After watching a couple of sea lion tussles on the beach, it was sadly time to head back. Fortunately we got to warm up in their nice cafe with some meat pies! After leaving Baird Bay, we went on a bit of a coastal drive to Point Labatt, which is where the largest mainland colony of sea lions lives. There were definitely a lot of them lounging about, though you can only view them from above from the tops of the cliffs. 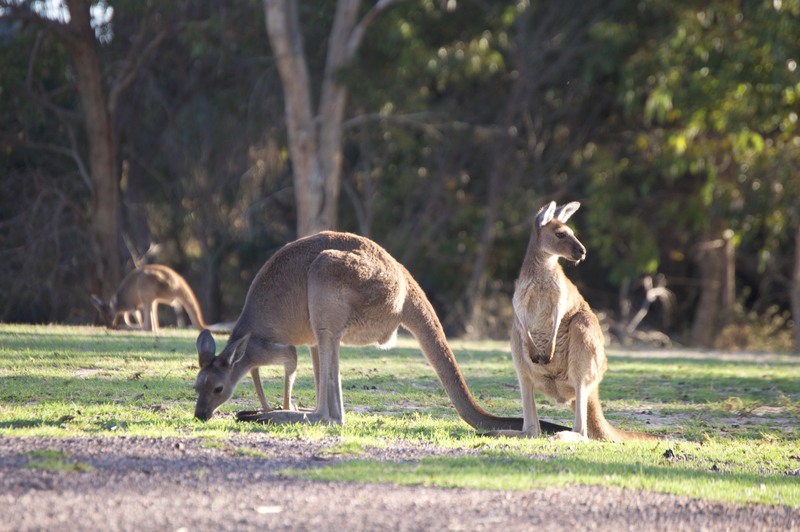 We spent the night in Coffin Bay, which was a kangaroo wonderland but otherwise uneventful. From there, we briefly visited Port Lincoln and Whyalla, before heading up to Port Augusta to catch up with Norm, our 4WD instructor. It’s been 4 months since he taught us how to drive our car! After than, it was on the Adelaide.